We may be in debt, but the chips on our shoulders are chocolate, Sarah Pine, WoW Insider, 9/18/13. When Greg Street and Brian Holinka traded tweets about exciting changes to PVP, Olivia Grace replied to them, saying that she’d bake them each 1,000,000 cookies if the changes were cross-realm arenas. Well, they’re in patch 5.4 now, and in the Alliance PVP room in the Valley of the Four Winds, there’s an IOU note for “1,000,000 Chocolate Chip Cookies” signed “- O.D.G.” She better get on that. WoW Trivial Pursuit now available, Sarah Pine, WoW Insider, 9/25/13. Know Your Lore: This Was All Necessary, Matthew Rossi, WoW Insider, 9/25/13. 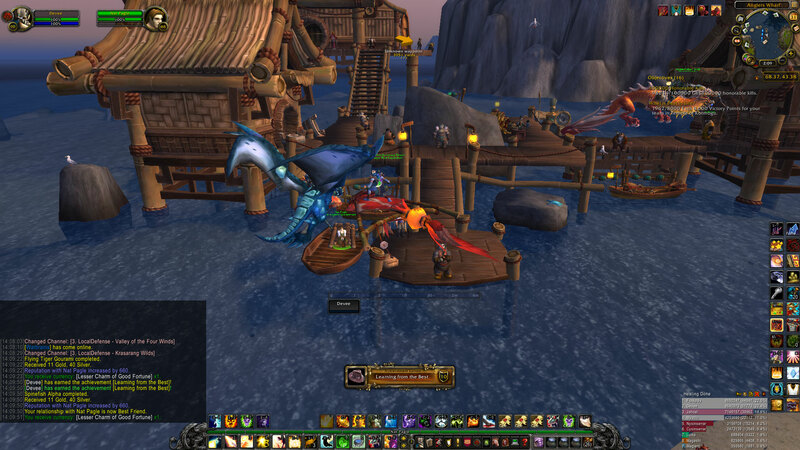 Hearthstone account wipe is coming, Sarah Pine, WoW Insider, 9/26/13. Good to know if you’re still playing Hearthstone. You’ll be reimbursed with gold for your purchases, and they don’t believe there will be any additional wipes. 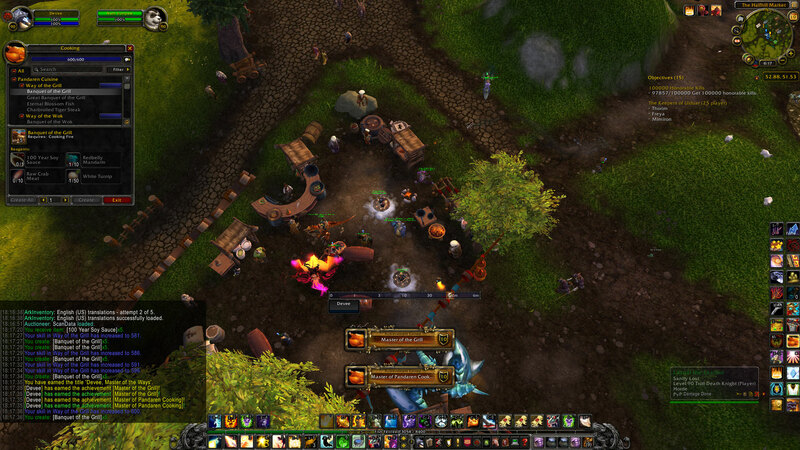 Queue for all the LFRs at once in patch 5.4, Olivia Grace, WoW Insider, 9/24/13. 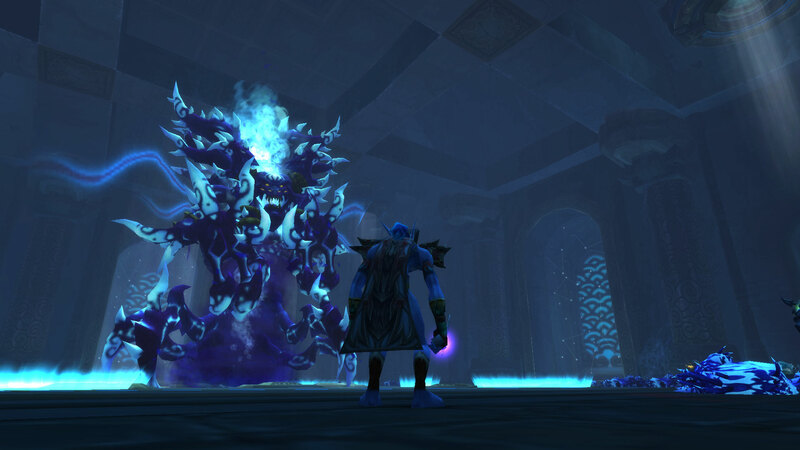 WoW Archivist: A rolled-back history of realms, Scott Andrews, WoW Insider, 9/13/13. I remember roll-backs. Dark days, they were. 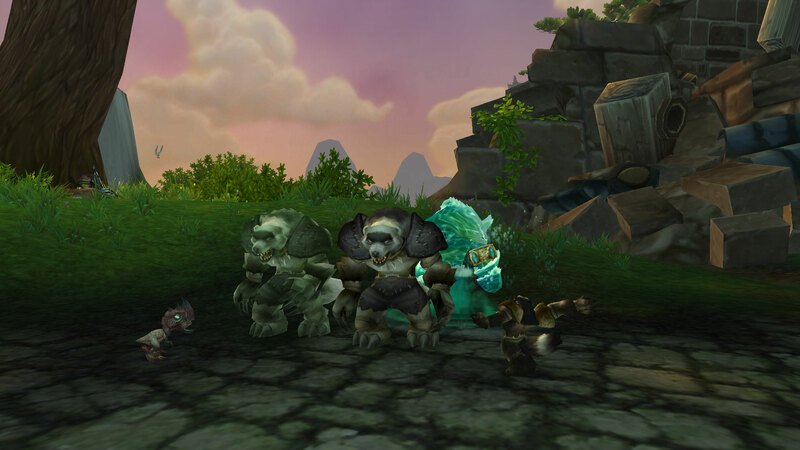 Know Your Lore: The future of the Horde, Anne Stickney, WoW Insider, 9/15/13. What will happen to the Horde after the Siege of Orgrimmar? 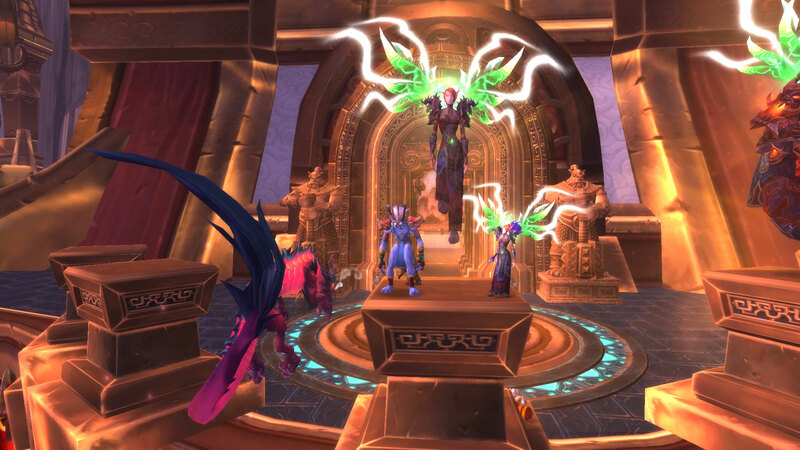 Know Your Lore: Delenda est Orgrimmar, Matthew Rossi, WoW Insider, 9/18/13. 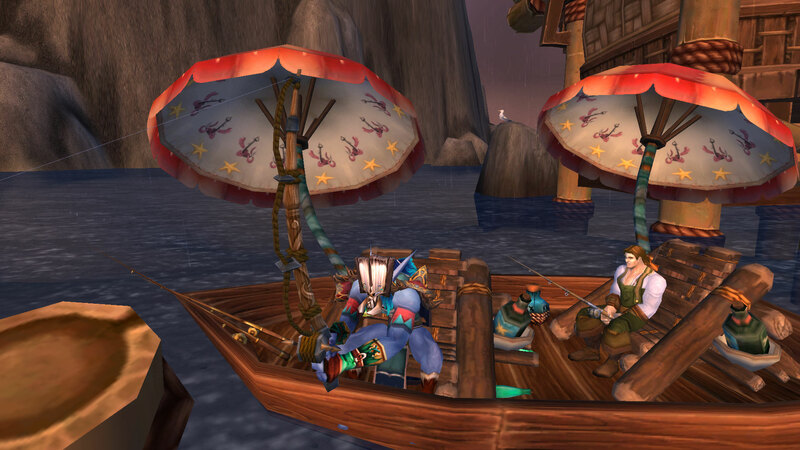 This is a satirical piece from the Alliance perspective on why Orgrimmar should be destroyed. Escape from Orgrimmar, Matthew Rossi, WoW Insider, 9/19/13. And this is the follow-up Rossi wrote after realizing that people didn’t realize the first was satirical. It lists the reasons why Orgrimmar shouldn’t be destroyed. When the big squish happens, you’ll still be able to kill the mobs, Adam Holisky, WoW Insider, 9/19/13. Some clarification for people who are still confused. A few weeks ago I became exalted with the Frenzyheart, my 45th exalted reputation. I would have posted about it at that time, but that wasn’t the end goal with the Frenzyheart. I wanted to become a Wolvar, and to do that, I needed to obtain Frenzyheart Brew. Last week, I waited for my Disgusting Jar to ripen, opened by Ripe Disgusting Jar, and was rewarded with a Frenzyheart Brew, allowing me to transform into a Wolvar! I’m very excited, because the Wolvar are one of my favorite races in WoW. They’re so cute! Last week, I earned my legendary cloak, Jina-Kang, Kindness of Chi-Ji. If you follow my blog and know that I play a discipline priest, you won’t be surprised that Jina-Kang is the healer legendary. Unfortunately, I didn’t have a chance to earn this before my raid nights, but this week I should be set! I’m sure you can find hundreds of videos showing the cutscene, but I recorded mine as well. It starts with some quest text and dialog before Wrathion sends me to the Seat of Knowledge above Mogu’shan Palace in the Vale of Eternal Blossoms. Around 2:00 into the video is when the good part starts. Do you remember how Lorewalker Cho has shown you scenes from stories? Now he, with Wrathion’s help, tells my story. This is one of the coolest things I’ve seen in World of Warcraft. We’ve all done great things, and the cutscene that plays will show each player his legendary accomplishments. To someone who loves the lore and story as well as building a character, it was incredible. 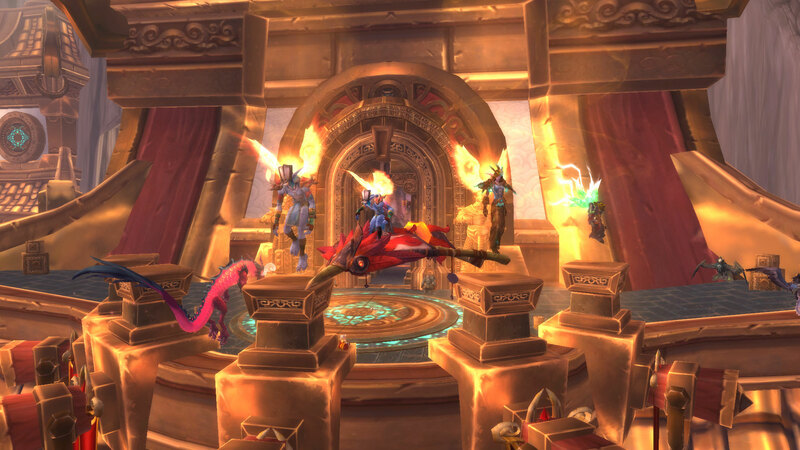 After earning it, the player is displayed with his or her appropriate legendary proc outside the Seat of Knowledge. I’m sad that I didn’t wait for Mooglegem so we could be displayed together. Oh well. Now to complete this chapter of the legendary, I just need to stop Garrosh Hellscream!